Saracens have ‘formally warned’ England No. 8 Billy Vunipola over his social media activity after defending Israel Folau’s social media posts claiming “hell awaits” homosexuals. Vunipola was booed when he came off the bench for Saracens against Bristol in the Premiership at the weekend after liking Folau’s posts before defending the Australian’s anti-gay comments. Folau has since been sacked by Rugby Australia over the posts — he has 48 hours to accept his sacking or choose to face a code of conduct hearing. Vunipola won’t face further action besides Saracens’ strong reprimand, though he will meet with the RFU later this week to discuss his actions. 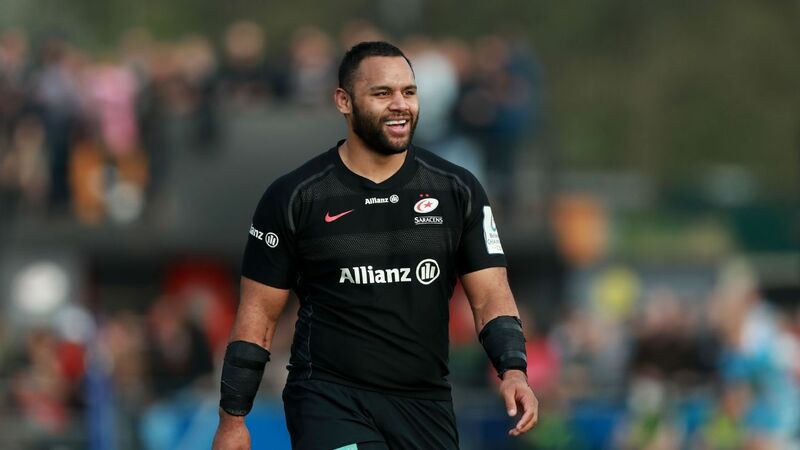 “Senior representatives of the Club yesterday held lengthy discussions with Billy Vunipola regarding his recent social media activity,” Saracens said in a statement. “At Saracens, we are one family, open to all with the firm view that everyone should be treated equally with respect and humility. “We recognise the complexity of different belief systems and understand Billy’s intention was to express the word of God rather than cause offence. However, he made a serious error of judgement in publicly sharing his opinion, which is inconsistent with the values of the Club and contravenes his contractual obligations. Vunipola added: “I can see that my recent post has hurt people. My intention was never to cause suffering. My intention was to express my belief in the word of God. These beliefs are a source of great strength, comfort and guidance in my life. This is deeply personal and does not represent the views of my team. This article was originally published by Espn.co.uk. Read the original article here.